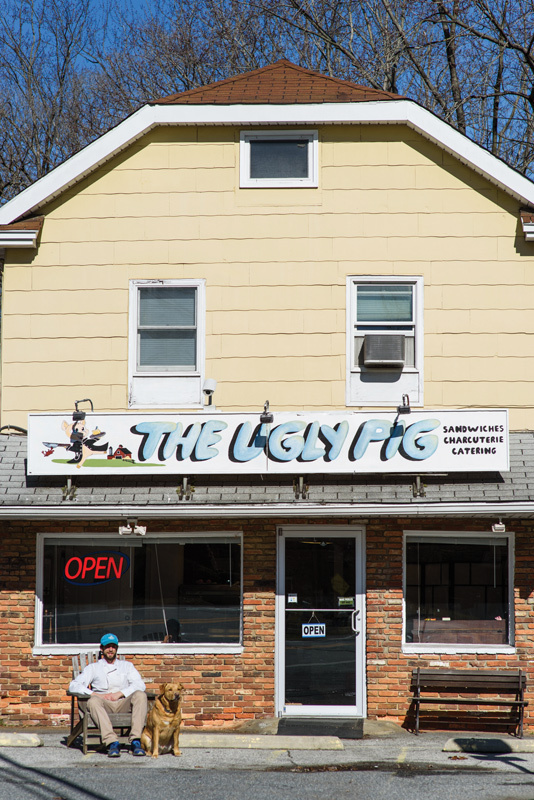 When you see the sign for The Ugly Pig, don’t go into the store expecting a barbeque joint. 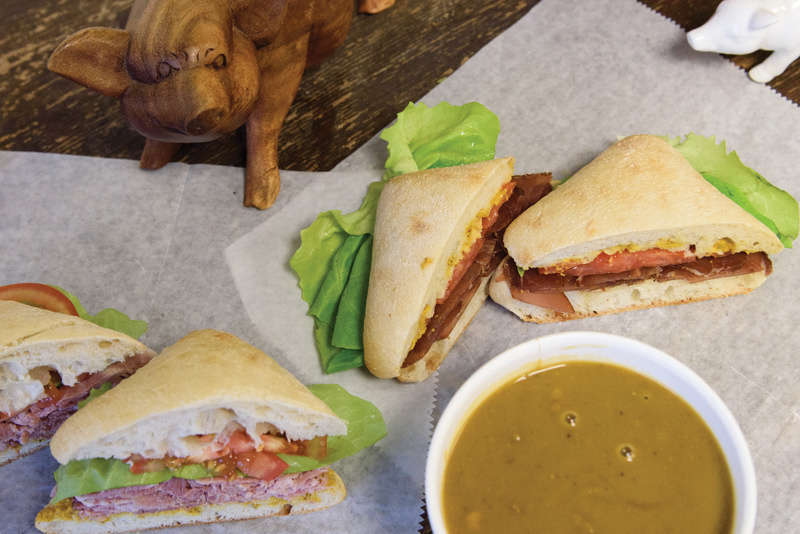 This is not your average franchised sandwich shop, either. 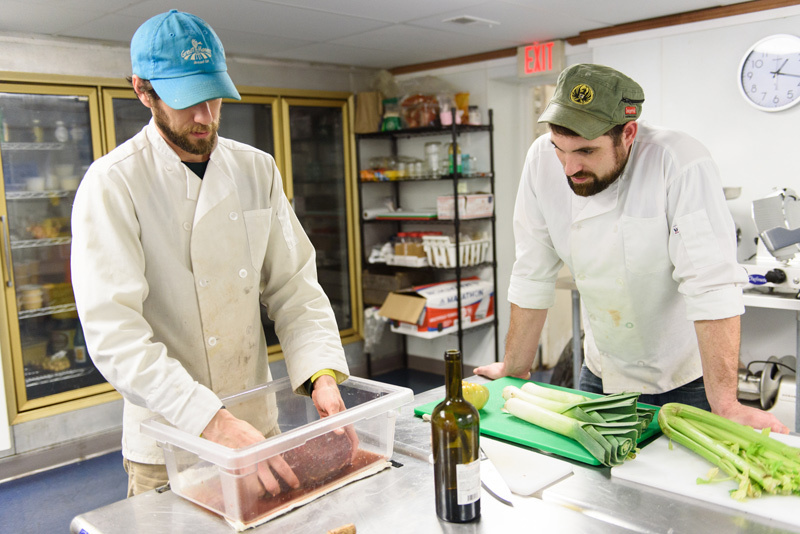 On the contrary, this hub of culinary delights will meet the lofty standards of foodies, mission-driven environmentalists, and health-conscious eaters alike. 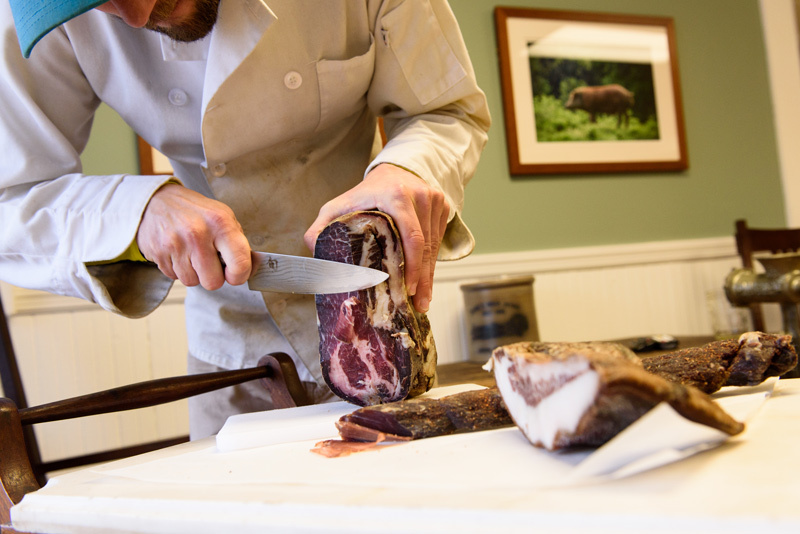 George Williams IV, proprietor of the establishment, offers a different way to celebrate these porcine animals. 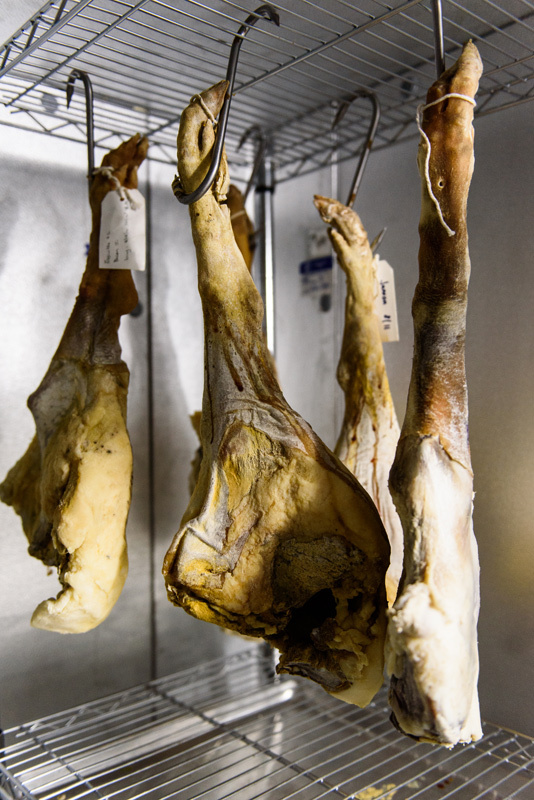 They are Spanish-heritage Ossabaw-breed hogs, raised locally in Davidsonville on non-genetically modified pasture and forest—the way wild pigs are raised in Spain. 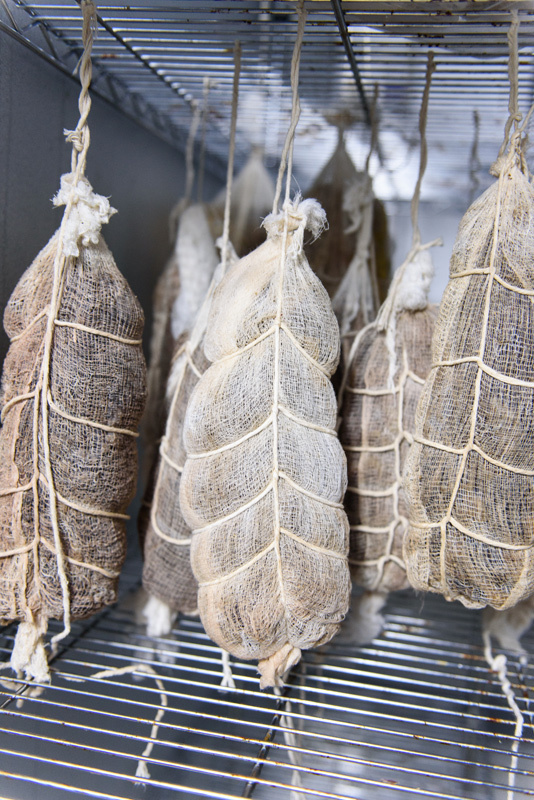 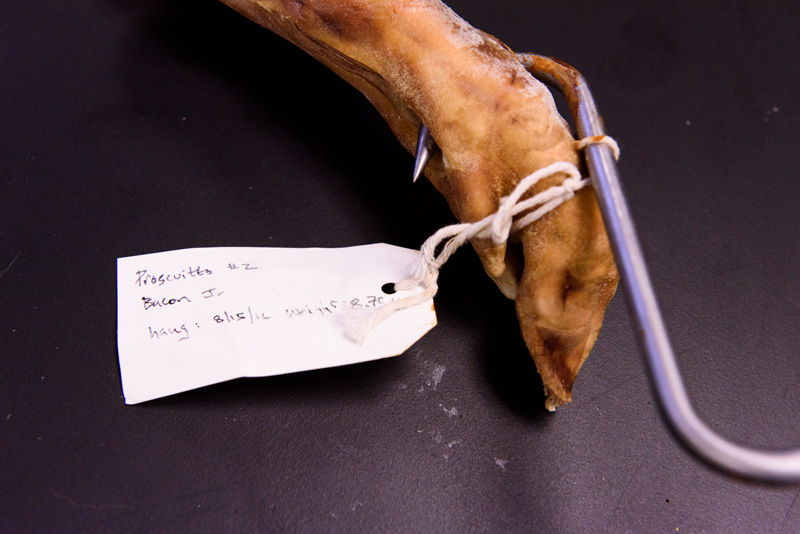 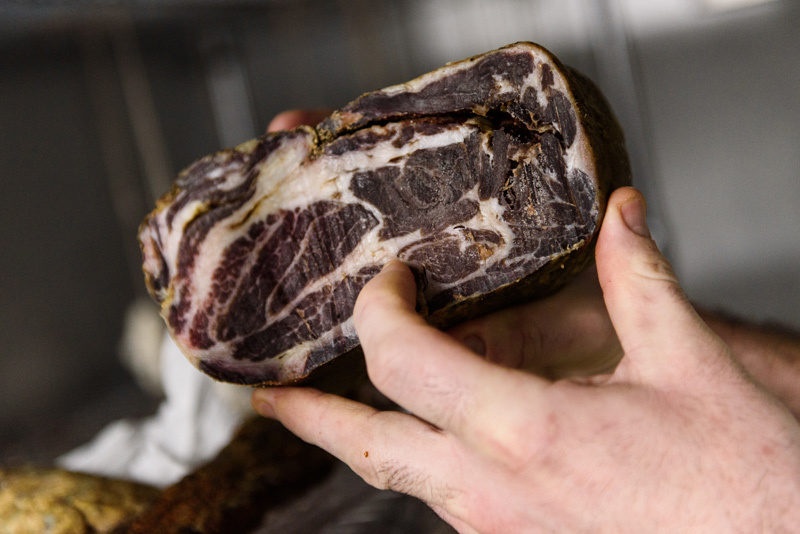 Williams’ charcuterie is from this breed, minus the environmental impacts of importing it from afar. 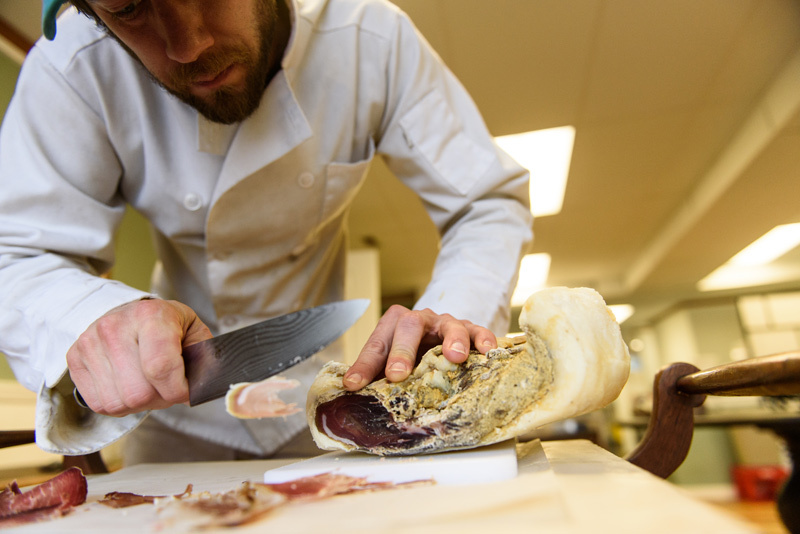 Butchery is done at the store, giving Williams the freedom to make nontraditional cuts and keep waste to a minimum, make bone broth, render lard, and make his dry-cured, unique-flavored bacon, which is so popular that he can’t seem to keep it stocked. 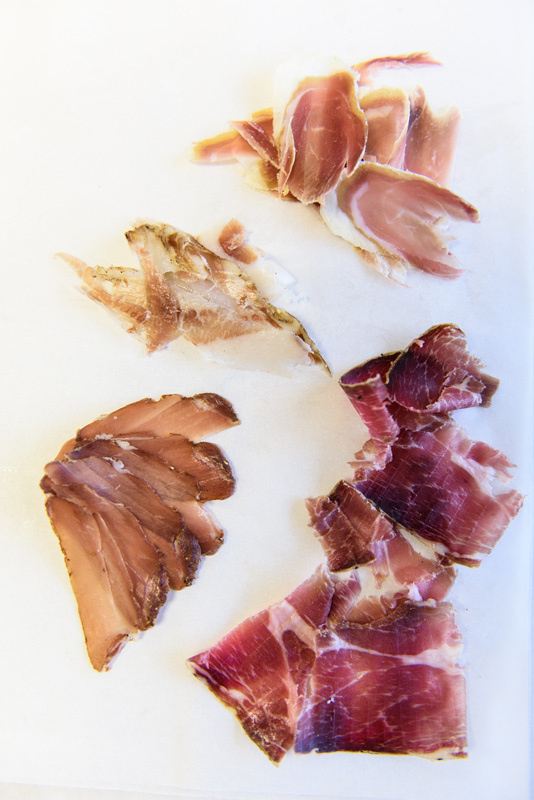 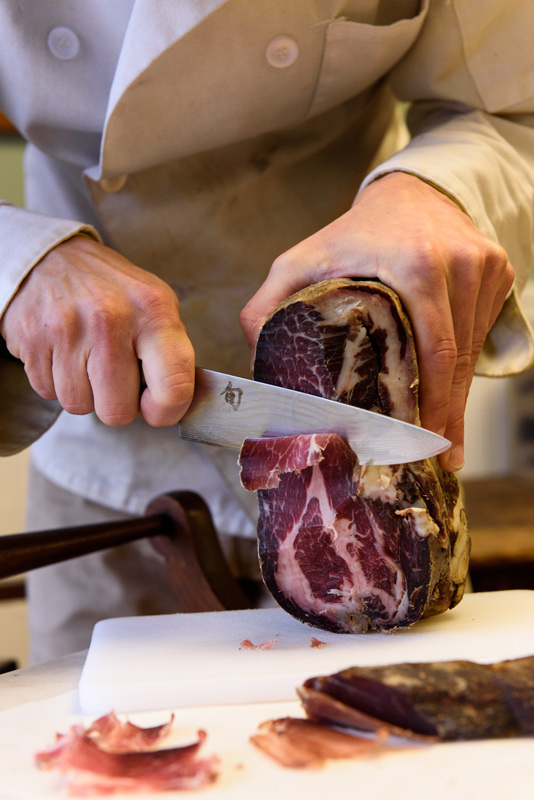 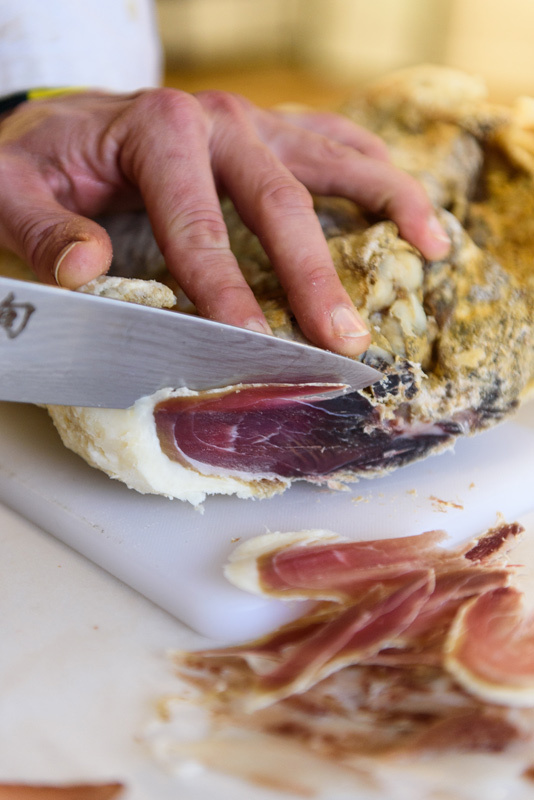 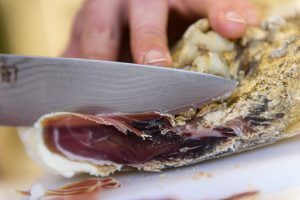 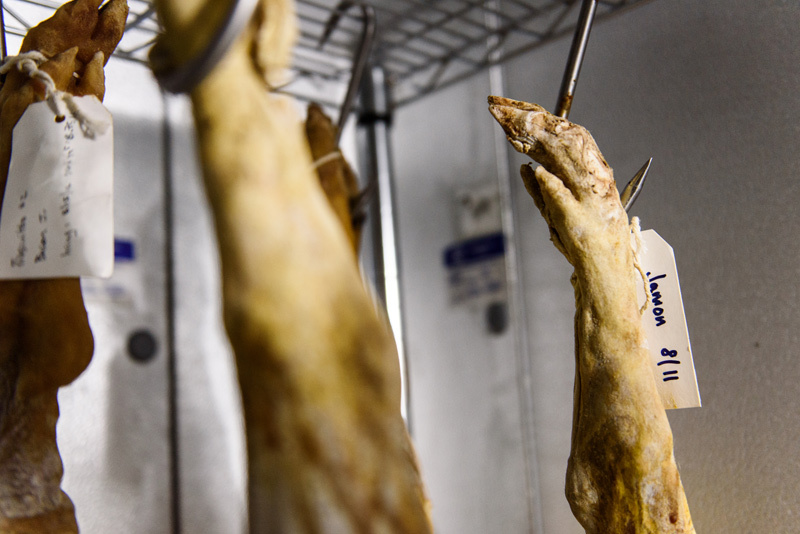 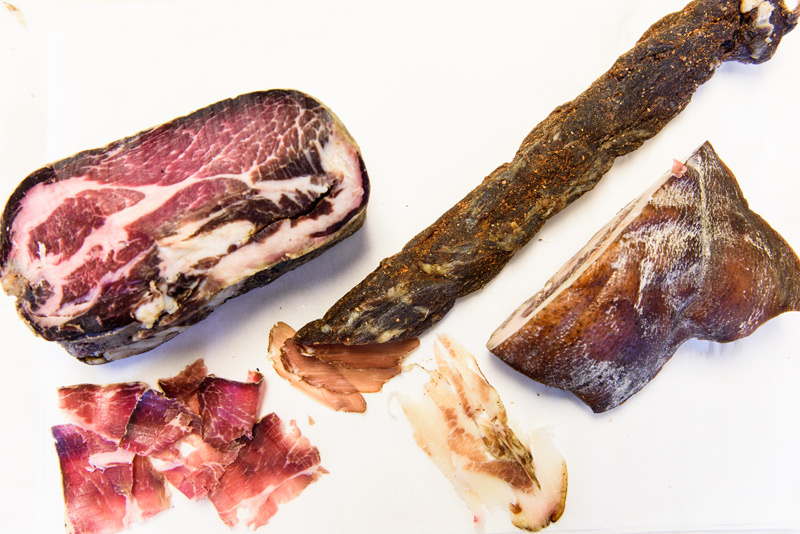 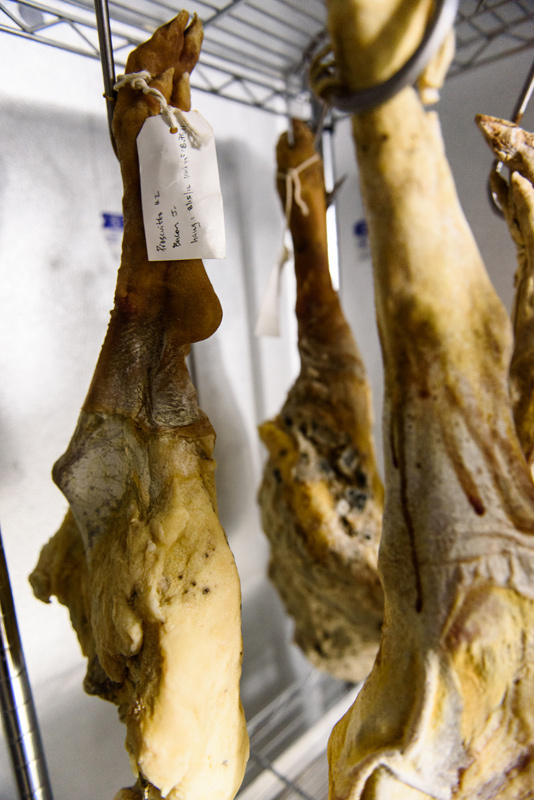 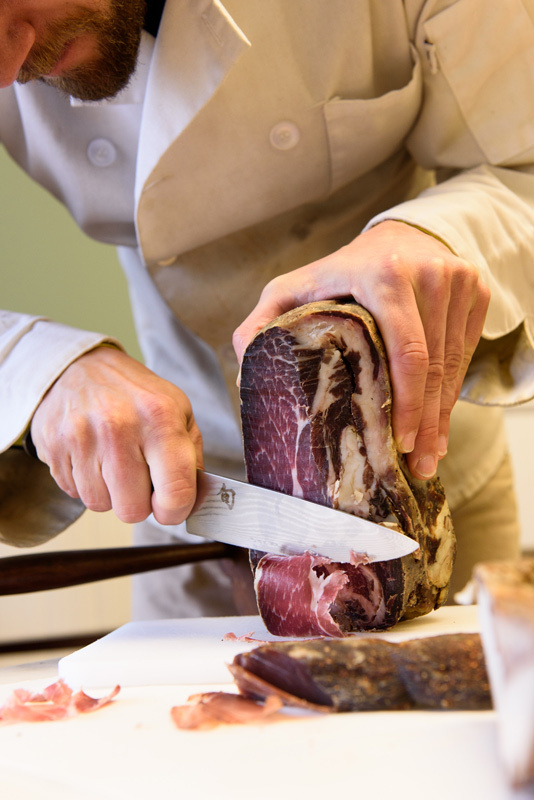 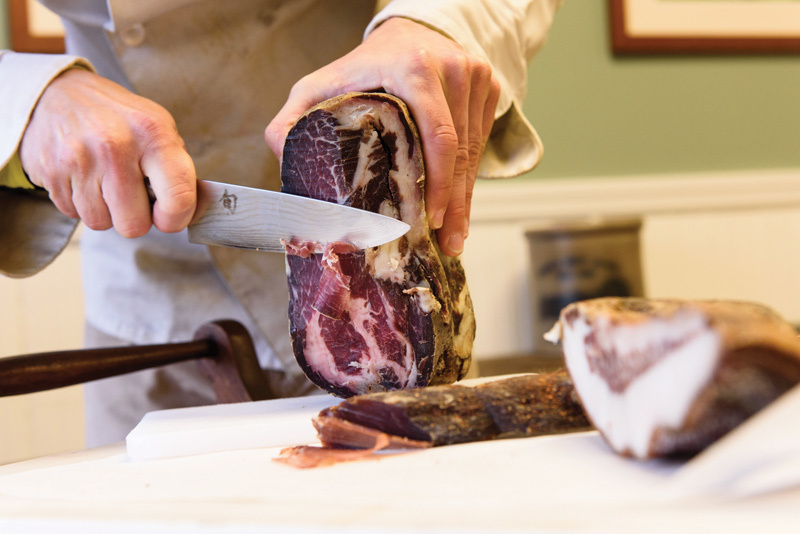 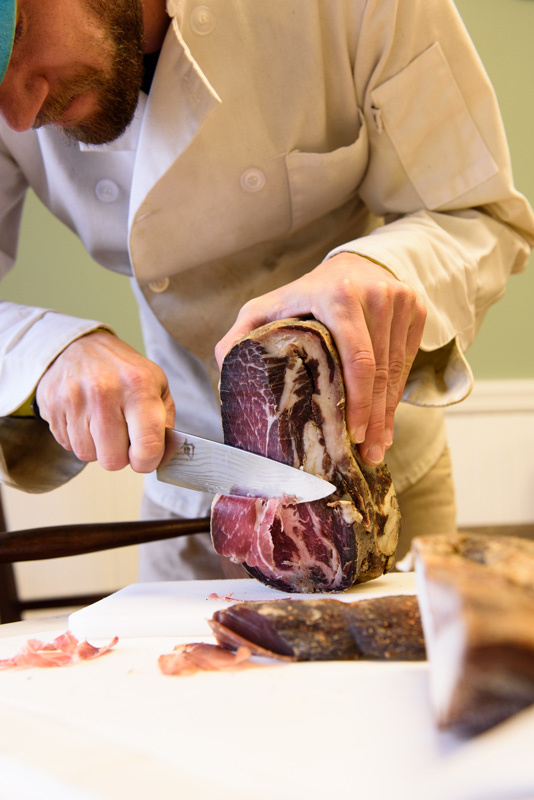 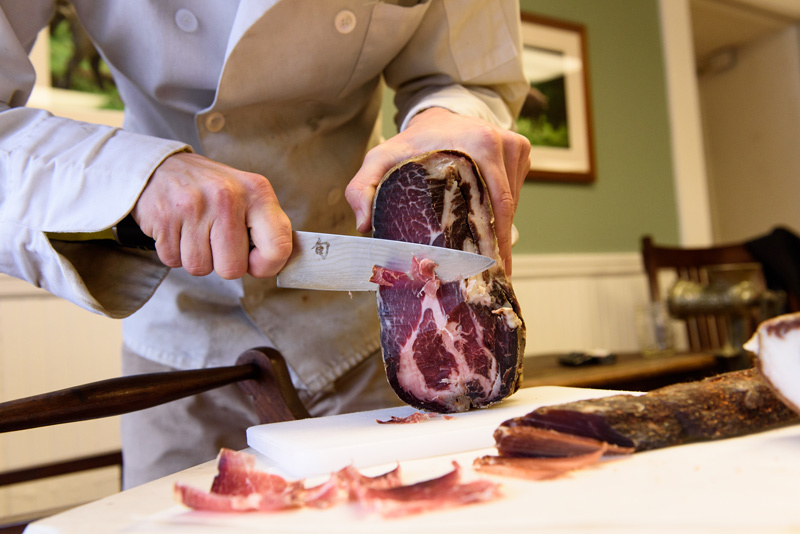 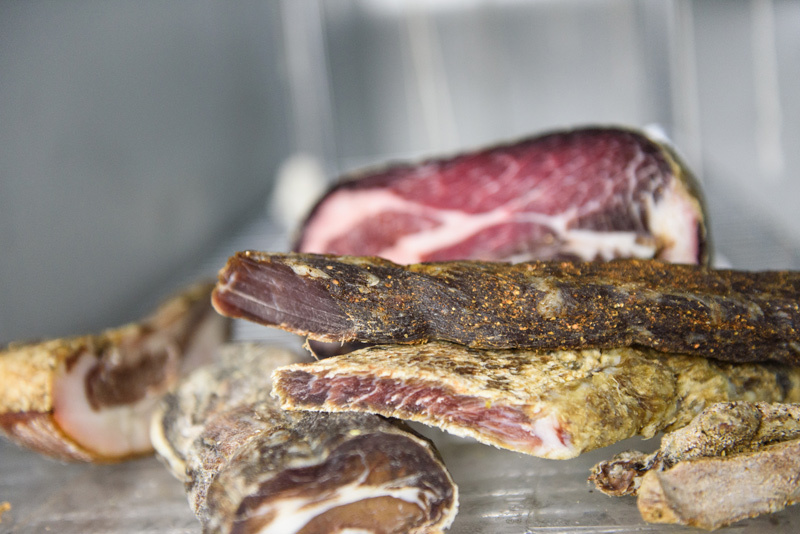 When the charcuterie is cured, he slices it by hand—his nod to how the Spanish do it. 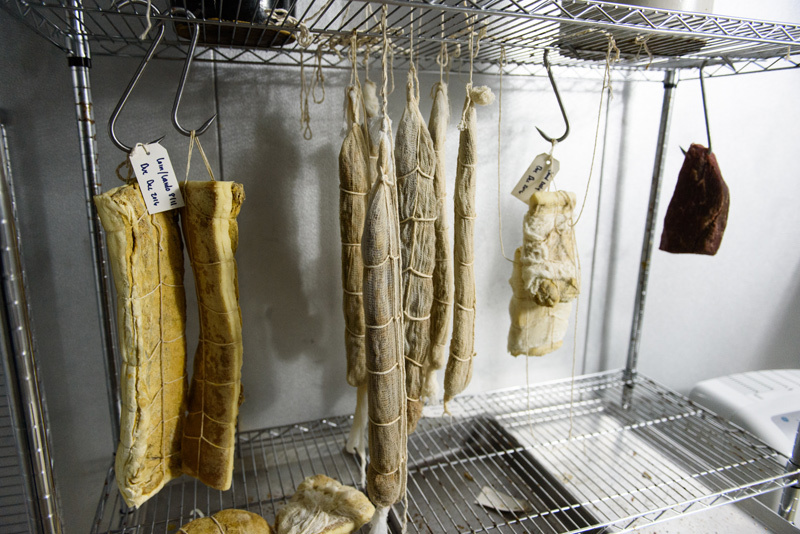 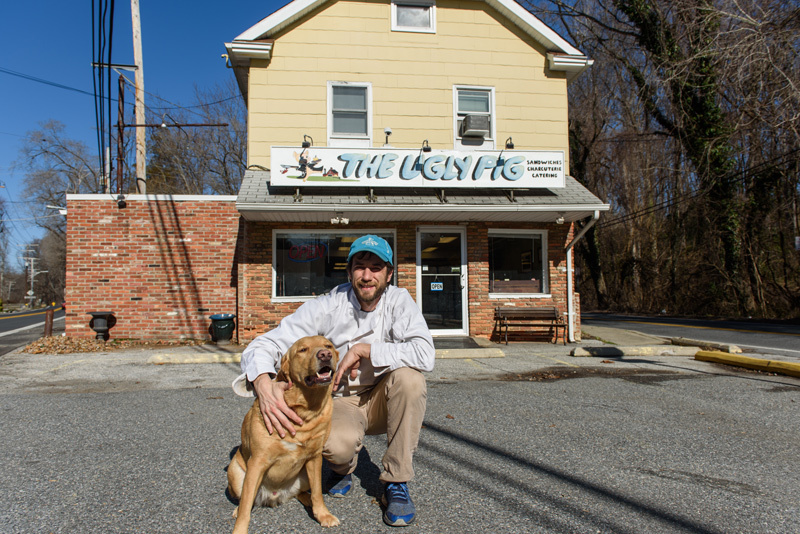 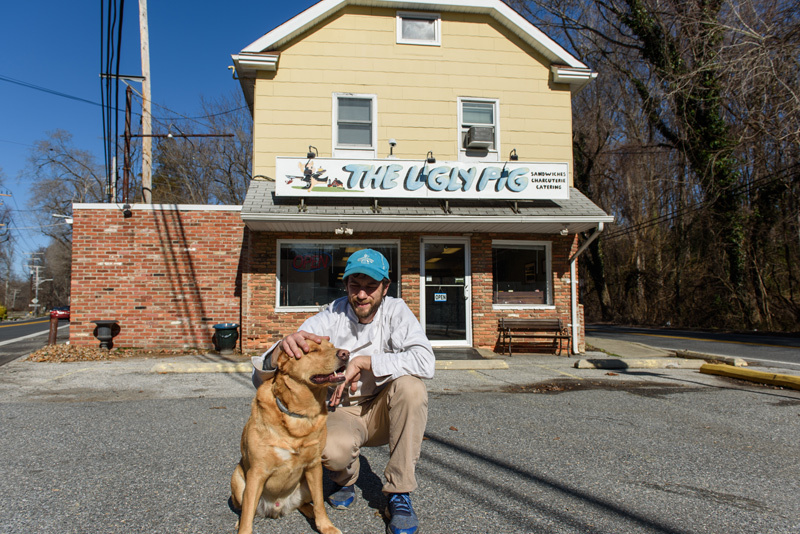 The Ugly Pig does not just specialize in charcuterie. 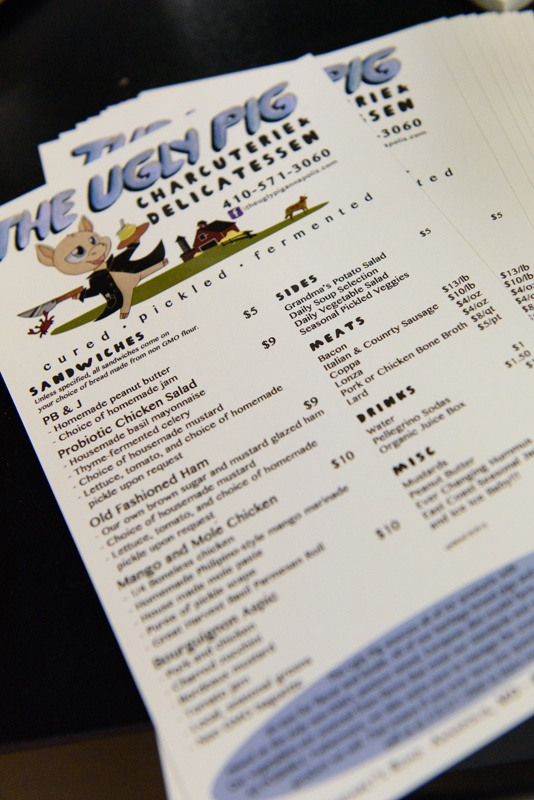 Surprisingly, another bestselling item is his chicken salad. 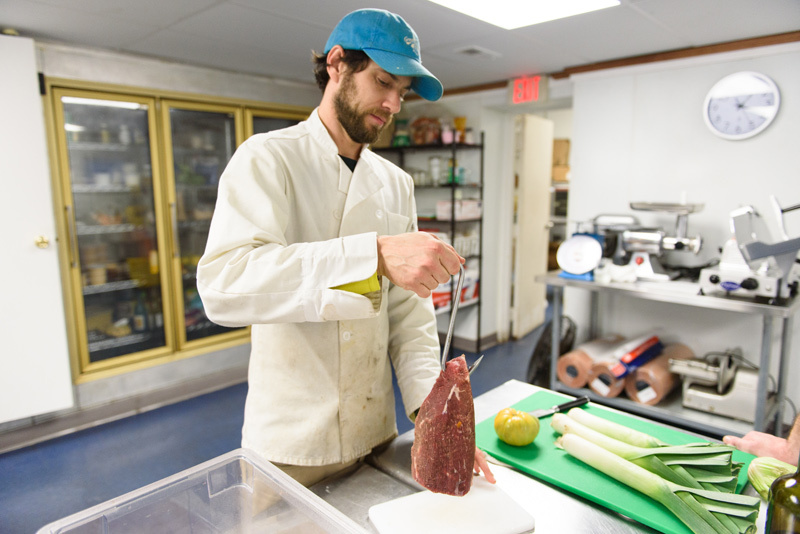 Williams shops exclusively from farms and farmers’ markets, allowing him to offer non-GMO, organically sourced ingredients for everything in the store, including what goes into each chicken salad sandwich. 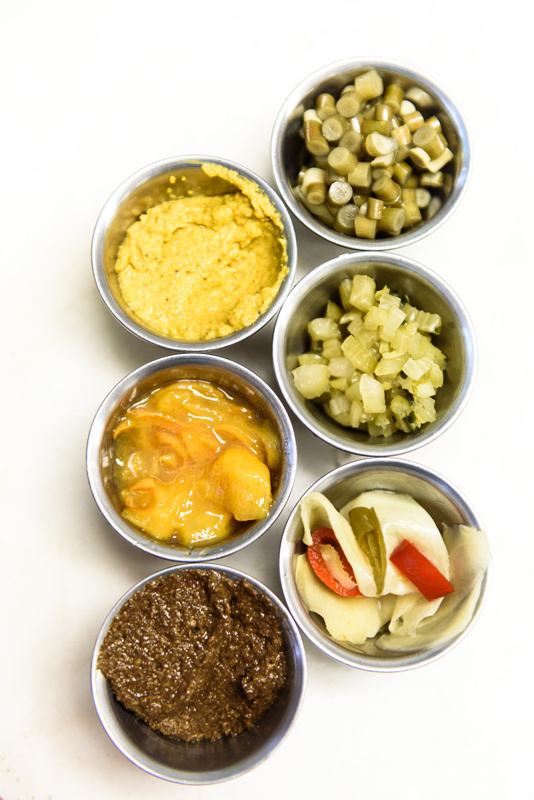 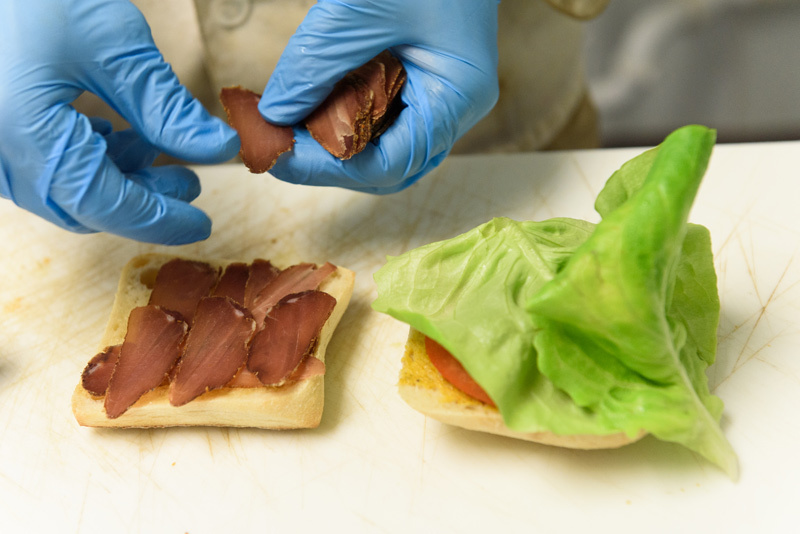 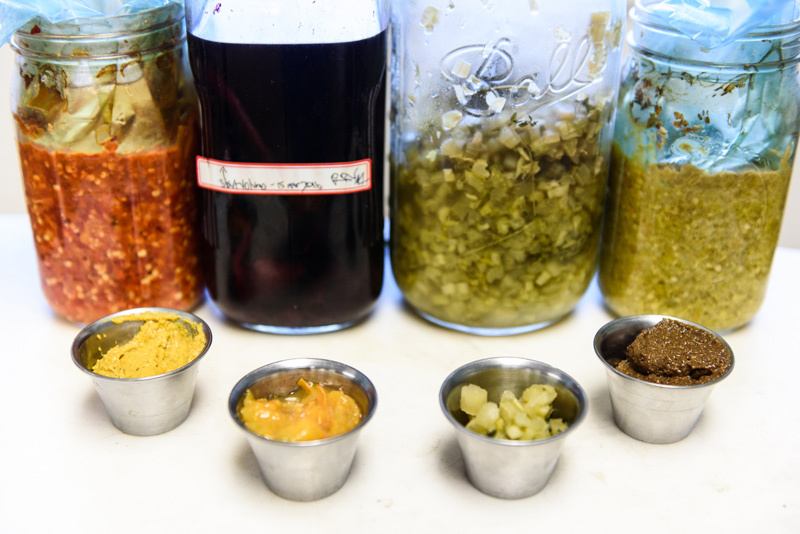 Williams makes everything on the premises, from the fermented celery to the mayonnaise, mustard, and vinegar. 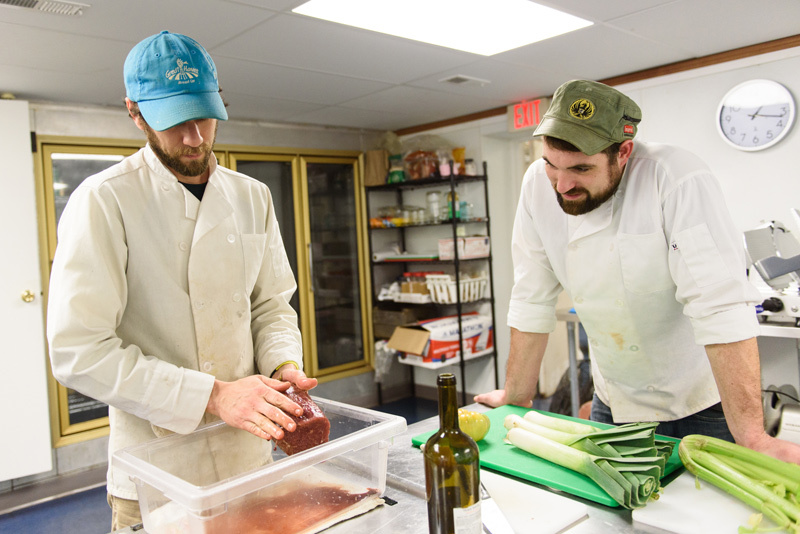 While all of the menu’s offerings are organically grown or raised, the menu itself has an organic quality, changing with seasonal food availability. 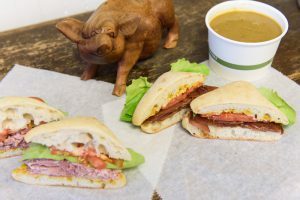 At any given time of the year, you’ll find something seasonal rotating in, and a mainstay such as hummus, potato salad, seasonal jams, or veggie salads, or a split pea soup with ham that Williams has baked, along with stock from reserve ham fluid and fat (he makes his own ham glaze). 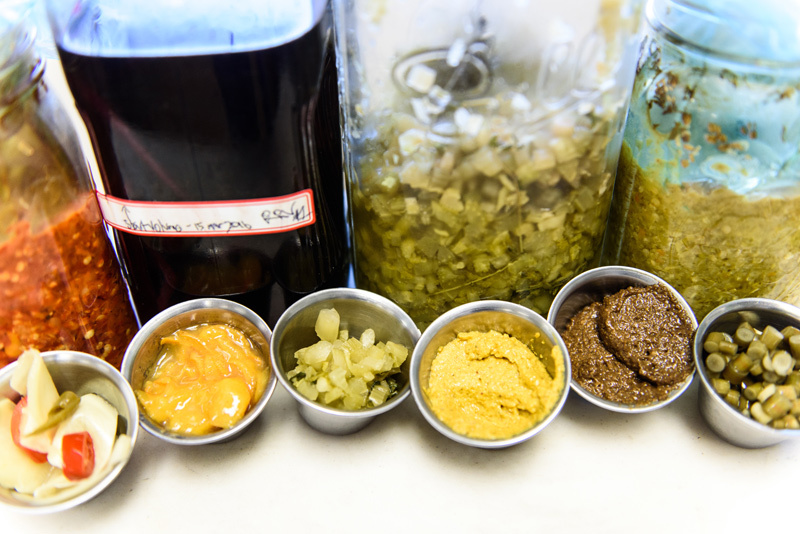 You may find a mango-mole sandwich for a day’s offering, made with mango that Williams marinated and his own mole paste. One thing you won’t encounter at the Ugly Pig is smoke and mirrors. 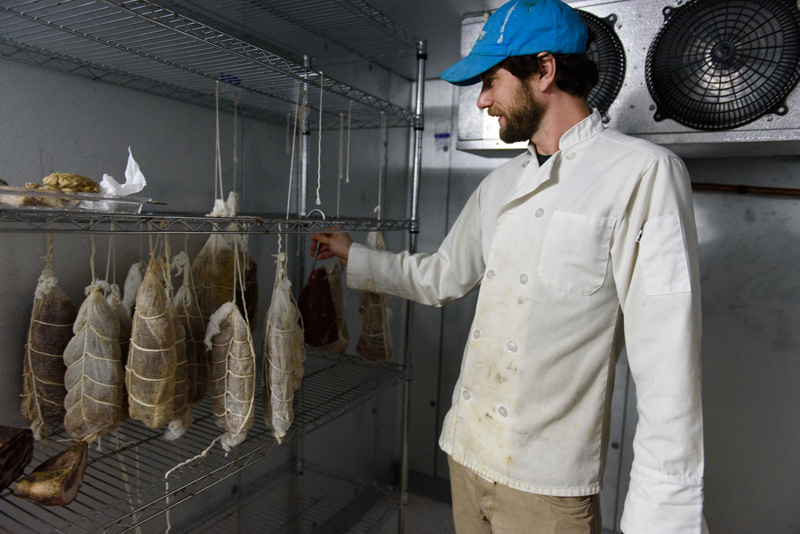 Williams is committed to transparency. 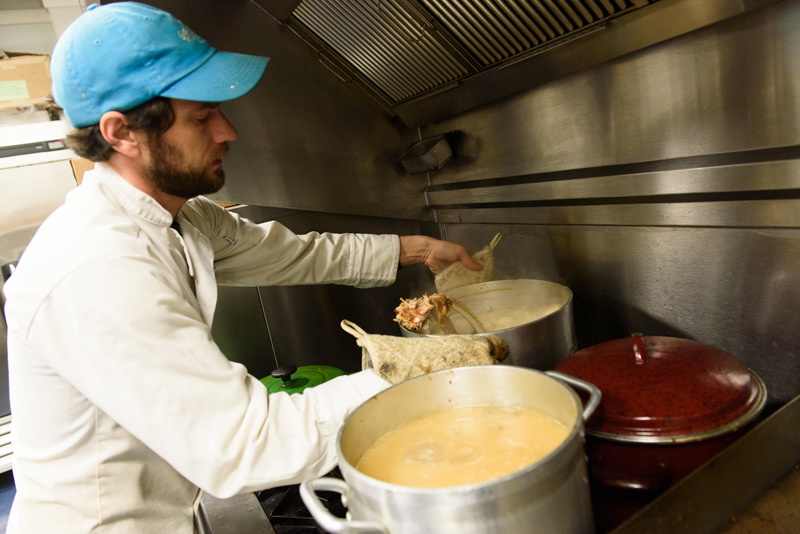 Ask him a question about any ingredient, and he can tell you where it was sourced, down to how much was used. 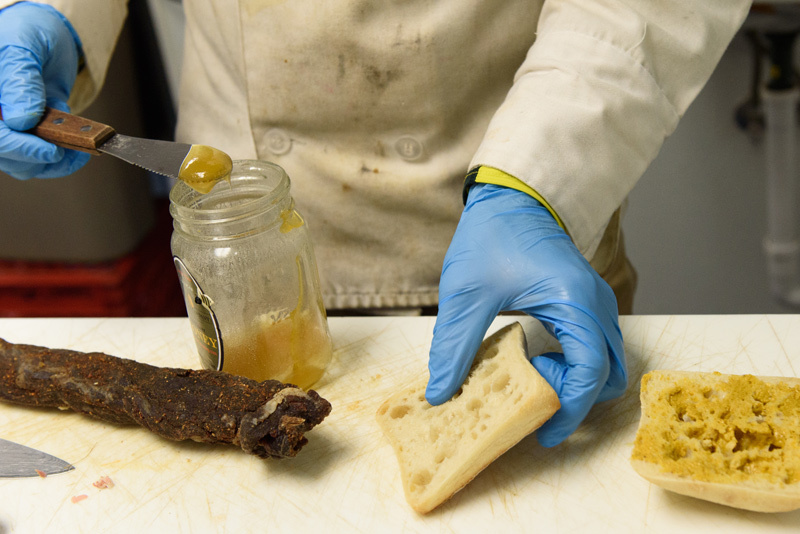 He wants to show how easy it is to transform foods into something special with the items he sells, providing ideas for what customers can do at home. 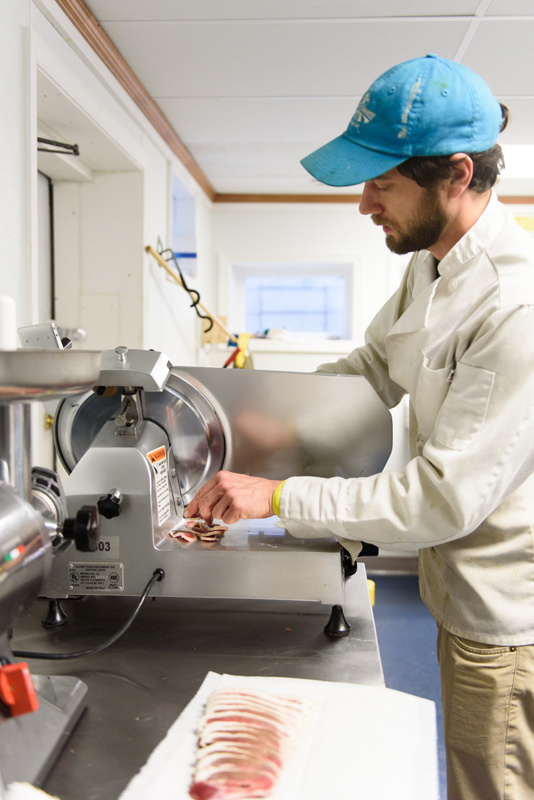 Error: Error validating access token: Session has expired on Saturday, 09-Mar-19 15:57:50 PST. 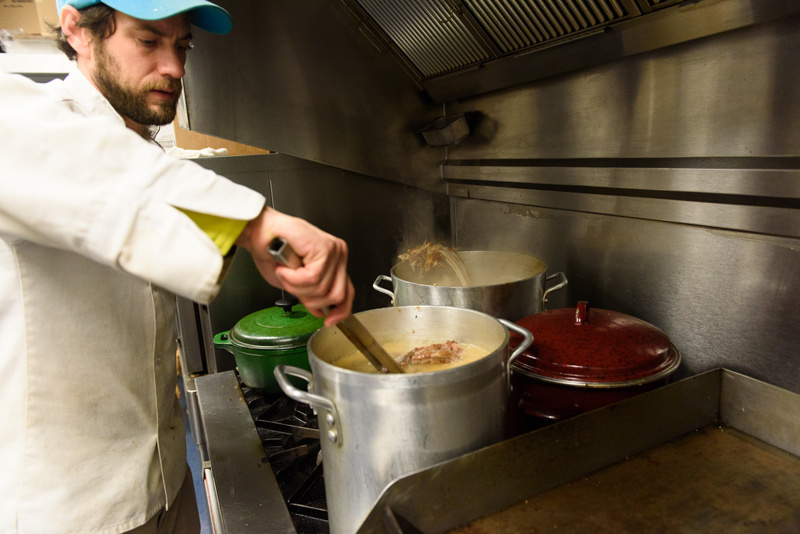 The current time is Friday, 19-Apr-19 11:25:14 PDT.